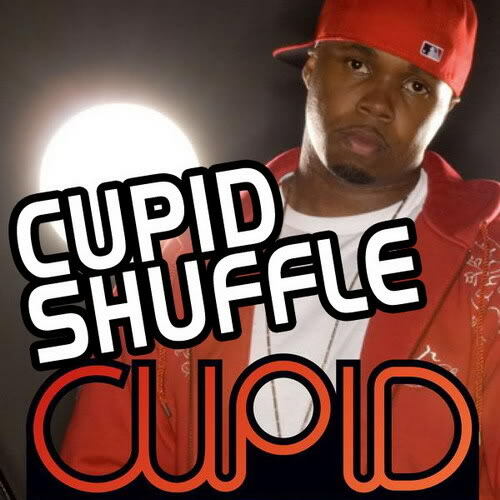 In 2007, Bryson “Cupid” Bernard shuffled his way into the hearts of millions with the up-tempo party song “Cupid Shuffle,” which also inspired the popular dance craze of the same name. From appearances on nationally syndicated TV and radio talk shows such as Dr. Oz, Steve Harvey and Tom Joyner to breaking the Guinness Book of World Records in 2008 for the largest line dance assembled with over 17k people, Cupid has virtually reshaped dance music and created an entirely new genre. When the Lafayette, LA native composed “Cupid Shuffle” he had no idea that the song or he would turn into a global entertainment phenomenon taking his talents to distant lands like Dubai and Germany. “It still amazes me that my music has resonated with so many different kinds of people,” says Cupid. “Music is truly a universal language because it unites individuals of different ages, cultures, backgrounds and beliefs with a single purpose of having a good time, at least that’s my goal. I want to lifts spirits and change the way people feel when they hear a Cupid record.” Given the culturally rich melting pot environment Cupid was raised in, his sound is Blues-influenced, Rock-influenced, Soul-influenced, Gospel-influenced and Hip-Hop-influenced. It’s no wonder his brand is able to effortlessly transcend racial and generational boundaries. Cupid is also the driving force behind CuRobiks. After being on the road supporting his music, Cupid gained a substantial amount of weight, which concerned him, especially being that his home state has one of the highest obesity rates in the country. As a result, Cupid began using show rehearsal time to workout. He did that by combining his line dancing routines with light aerobic activity, shedding over 40 pounds with his crew members experiencing similar results. That’s when he birthed the idea for CuRobiks. CuRobiks is a mixture of calisthenics, aerobics and line dancing led and instructed by award winning – multi platinum recording artist, Cupid. This explosive and addicting fun filled exercise method allows for a great full body workout that incorporate aerobic dance with squats, jumping jacks and pushups. The moves get your heart pumping but are low impact, which makes the program ideal for kids and adults alike. CuRobiks is offered in LIVE concert and on DVD allowing the experience to happen in the comfort of your own home. Cupid has a new record out called “Wham Dance” featuring fellow Louisiana native Mystikal along with DJ RO. The CuRobiks Fitness Concert Experience is the first workout routine led by a multi-platinum recording artist bringing you high-energy, fun filled aerobic line dancing. This 3 hour event offers a family atmosphere where anyone young or old can dance away calorie after calorie while line-dancing to popular hit records that are suitable for ALL ages. Divided into 3 segments, you will have the opportunity to learn how to line dance, get a great workout, gain health awareness, and meet and greet national recording artist, Cupid. The son of a preacher, Cupid grew up doing three things: singing, dancing and DJ’ing. He cut his artistic teeth belting out hymns and playing the piano in church even becoming the youth choir director at age 14. And being from central Louisiana, rhythmically moving to a beat was in his DNA. Given the culturally rich melting pot environment he was raised in, Cupid’s sound is Blues-influenced, Rock-influenced, Soul-influenced, Gospel-influenced and Hip-Hop-influenced. It’s no wonder his brand effortlessly transcends racial and generational boundaries. Cupid attended the University of Louisiana at Lafayette on a track scholarship. While he enjoyed competing as an athlete, music became his main focus subsequently leading him to join a 5-man R&B ensemble called Fifth Element. What started out as an attempt to woo the ladies resulted in performances at campus talent shows and local events throughout the state. Although the group disbanded after a short stint, it gave Cupid the confidence boost he needed to pursue a career in entertainment full-time. The singer enjoyed radio airplay in 2001 with his high-powered first single, “Do Ya Thang,” which appeared on his independent debut album. His sophomore disc, 2005’s The King of Down South R&B gained airplay throughout the southeastern region. Cupid’s career skyrocketed in January 2007 with the release of his third LP, Time For a Change. Just days before dropping the album, he received a call to ink a major label deal with Atlantic Records. His first breakthrough single from that landmark debut, “Cupid Shuffle,” sparked a worldwide frenzy. In the United States alone, the song peaked at #66 on the Billboard Hot 100 and #21 on the Hot R&B/Hip-Hop Songs chart. Since then the song has gone double platinum and gets roughly 6,500 new downloads each week. The success of Cupid’s music had him performing in front of sold out crowds and headlining shows with the likes of Frankie Beverly and Mays, the SOS Band, Stevie Wonder, Charlie Wilson, New Edition, Dougie Fresh, Big Daddy Kane, Zapp, the Whispers and the O’ Jays over a 6-year period. He became the face of McDonalds McCafe national ad campaign where he went on a nationwide tour alongside Eric Roberson and Musiq Soulchild teaching his legion of fans how to do the “McCafe Shuffle.” Cupid’s music can also be heard in the feature films Jumping the Broom, Step it up 2, P.S. I Love You and the Adventures of Nancy Drew, as well as the Dance Central 3 video game. Realizing with success comes responsibility; Cupid has proven to be a powerful force through his foundation Positopia (Poz-itopia), a land where negativity doesn’t exist. Through his organization, he mentors youth in schools and churches, organizes a yearly toy drive and participates in breast cancer awareness campaigns. Cupid hopes the world continues to fall in love with his movement but more importantly he aims to captivate the heart. If you’ve been living on another planet and have not heard the “Cupid Shuffle“ click here to listen and download the song as well as other music. In fact no matter if someone doesn’t be aware of afterward its up to other users that they will help, so here it happens. Hey Buddy!, I found this information for you: "Bryson Bernard: The Man Behind The “Cupid Shuffle” and CuRobiks". 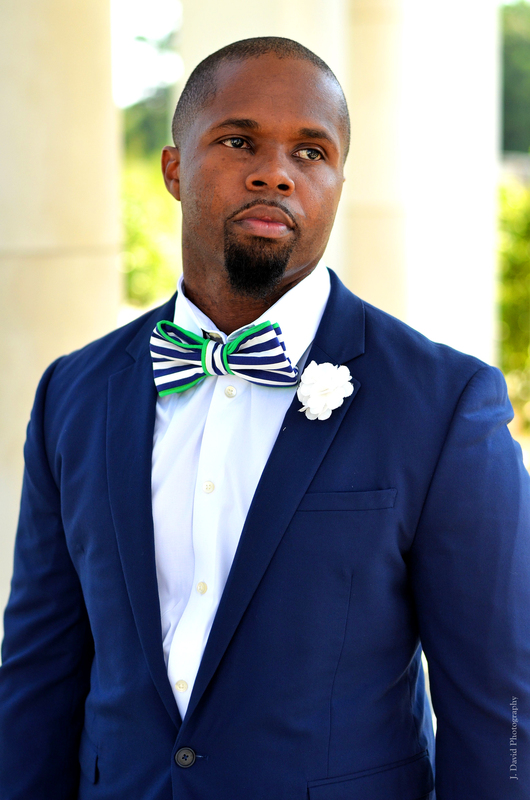 Here is the website link: https://blackmeninamerica.com/bryson-bernard-the-man-behind-the-cupid-shuffle-and-curobiks/. Thank you.